Dan is a long standing member of the Crossfit Gym in Deep Cove North Van. He is happy to offer everyone their 1st month free at the gym once you complete the Foundations Program! Just mention Dan's name to the owner Dave Kitchen! Click the link below to always be in the loop of what the weather is doing in Deep Cove thanks to Deep Cove Kayak. They also offer paddel boarding, Kayak and canoe rentals! Check them out! Every Saturday night catch live music at our local Deep Cove Brewery and enjoy amazing local craft beer, spirits and tasty appies! 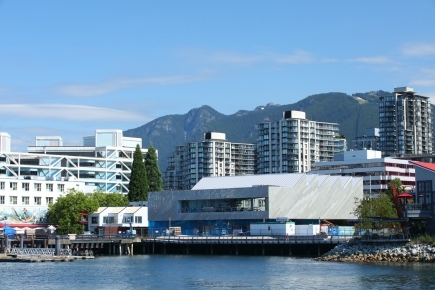 The Polygon Gallery, formally the Presentation House Gallery, is a fabulous art gallery located on North Vancouver's water front at the foot of Lonsdale. They always have fascinating exhibitions which change frequently. Also check out "Kids First Saturdays": Creative activities for kids on the first Saturday of every month!